Sites showing rainfall and flood forecast information for several locations in the world, such as Denmark and St Lucia, have been created. These dashboards assemble flood-related information such as a real-time flood model results, local rain gauge data and rainfall forecast data at a location. The sites are currently under development, but several sections such as those for Rainfall Forecasts are operational. 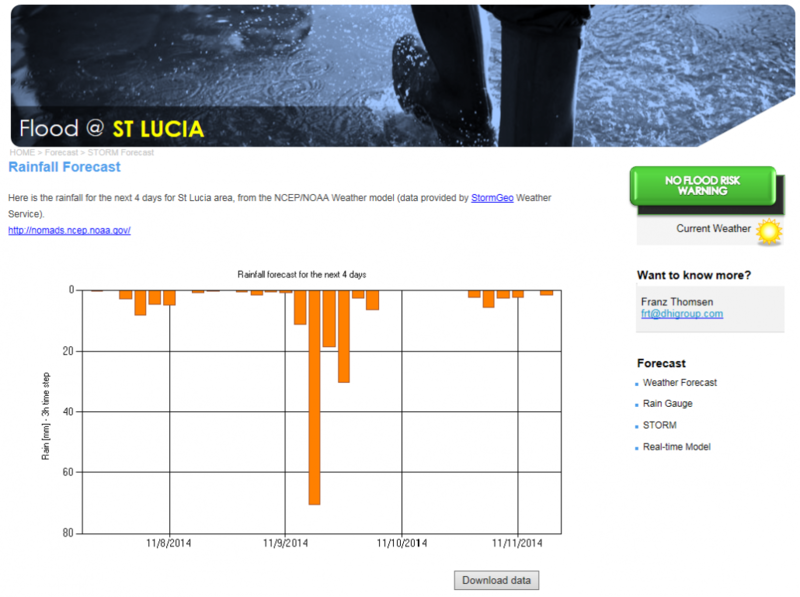 The page shows rainfall for the next 4 days in St Lucia, from the NCEP/NOAA Weather model (data provided by StormGeo Weather Service).